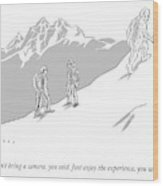 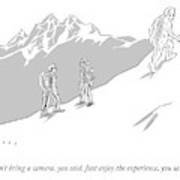 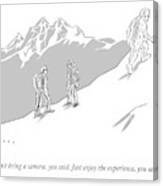 Description: Two people are led up a mountain by their abominable snowman guide. 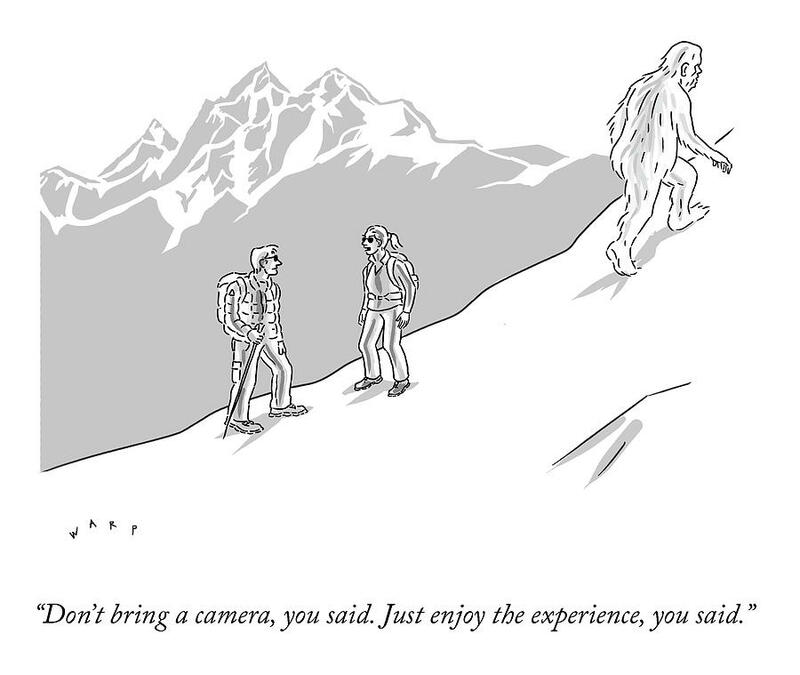 Caption: "Don't bring a camera, you said. 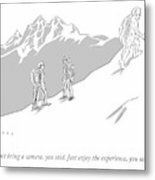 Just enjoy the experience, you said." Winning caption submitted by John R. Oshin, Portland, Ore.